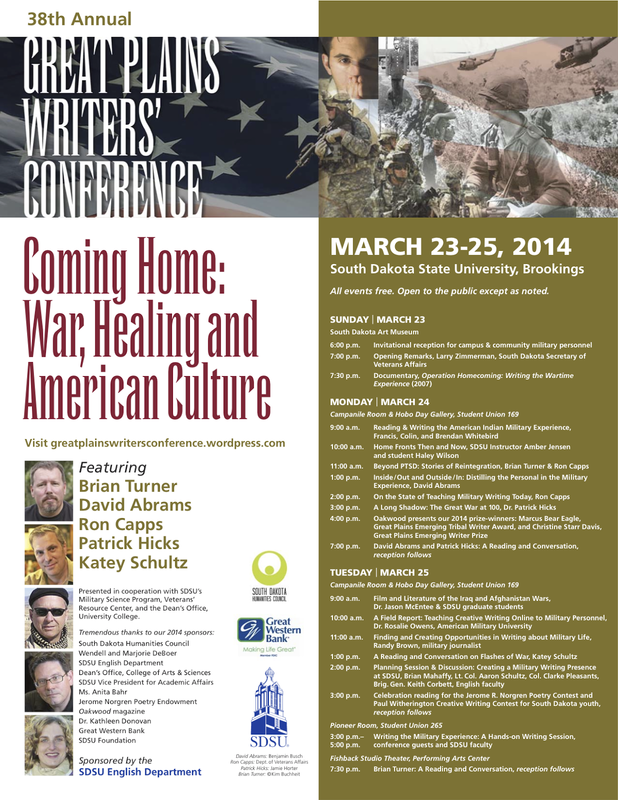 The schedule for the 2014 Great Plains Writers' Conference, March 23-25, Brookings, S.D., has been published. The theme of this year's event, conducted since 1976 on the campus of South Dakota State University, is "Coming Home: War, Healing and American Culture." All events are free and open to the public except as noted. A downloadable PDF of the schedule is available here. The website for the event is here.